Why was the US so slow on Boeing? Last night Boeing grounded its entire global fleet of 737 Max aircraft after investigators uncovered new evidence at the scene of the fatal Ethiopian Airlines crash. Regulator, the Federal Aviation Administration, said fresh evidence as well as newly refined satellite data prompted the decision to temporarily ban the jets. Alex Macheras, independent aviation analyst, says the fact that the US was one of last to ground the jets has damaged Boeing's reputation. "It's unprecedented to lose two new aircraft in a matter of months," he says. He tells the Today Programme that it's the first time he's seen a breakdown between an airplane manufacturer and its customers, with Boeing insisting until last night that it had full confidence in the Max 8 plane. It's been a mixed session so far for Asian markets, with China stocks losing ground while Japan's market edged higher. In afternoon trading, China's Shanghai Composite lost 1.3% and Hong Kong's Hang Seng gave up 0.1%, while Japan's Nikkei 225 index pushed 0.2% higher. Facebook appears to be recovering from a more than 10-hour disruption to all of its products that left the service mostly inaccessible across the world. The company is yet to say the cause of the down time, the most severe in the company’s history. The problems began yesterday afternoon and only showed real signs of recovery this morning. They meant core parts of the internet many people rely on every day to communicate were rendered mostly useless. Messages were left unreceived and Instagram posts unmade. Along with it, the world’s second largest online advertiser lost tens of millions of dollars. Facebook has yet to offer an explanation as to what may have caused the problems, other than to rule out a specific type of cyber-attack. The last time the site was down for this length of time was back in 2008, when a mere 150m users were on the platform. With around 2.5bn users today, this incident has served as a reminder of Facebook’s extraordinary power and reach. Hannah Essex of the British Chambers of Commerce, told Wake Up To Money, that yesterday's vote by MPs to reject a no-deal Brexit did not help businesses. "If you look past all of the drama nothing has changed," she said. There is still no clarity about whether there is a deal or no-deal as it is still the law that the UK will leave on 29 March. "What looks most likely is we are not leaving on the 29th although that's still a possibility," she said. With two weeks to go, she said businesses just want to know what is going to happen. "What we don't want is this deadline being pushed and pushed. What [businesses] don't want is a series of short extensions," he said. The pound touched a nine-month high after the vote by MPs on Wednesday to reject a no-deal Brexit. But the currency remains volatile. What might stop it falling? Shani Keleman, portfolio manager at Coutts, told Wake Up To Money: "If we had firm guidance no-deal was really off the table that would really put a floor under the pound". Sterling was down 0.6% at $1.3254 after climbing to $1.3380 on Wednesday, its strongest since June 2018. The level of international investment into UK stocks is lower than it has been in recent memory. That's according to Shanti Kelemen, portfolio manager at Coutts. She told Wake Up To Money investors were being put off by the uncertainty surrounding Brexit. "If you are sat in Europe, Asia or the US, why bother when there is much uncertainty?". Data out today delivers a mixed picture on the health of the Chinese economy. Industrial output growth slowed to 5.3% in the first two months of the year, down from the 5.7% lift in December. The result, which provides a gauge of the country's manufacturing sector, was below forecasts. Retail sales expanded at 8.2%, unchanged from the previous December reading. Fixed-asset investment rose 6.1% percent in the first two months of the year, up from 5.9% in 2018 and a little ahead of forecasts. Assessing China's start to 2019, Louis Kuijs of Oxford Economics said "weakness in exports, infrastructure and mining coincided with some improvement in consumption and investment indicators, while manufacturing growth stabilised". The last time Facebook had a disruption of this magnitude was in 2008, when the site had 150m users - compared to around 2.3bn monthly users today. Brexit and Boeing will still be a focus again today. 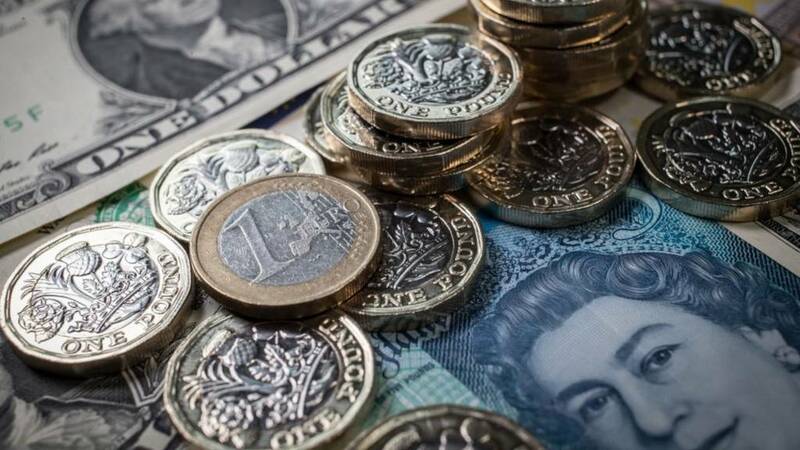 The pound had hit a nine month high after Parliament rejected a no-deal Brexit and investors saw less risk of a disorderly exit from the European Union. There will be another vote by MPs today on whether to ask the EU for permission to delay Brexit beyond the 29 March departure date. The pound has drifted off that high. Among the UK companies reporting today are the outsourcing firm Capita and Cineworld.